Wine Flavors - The Grapes — EverWonderWine? Last time, we started the exploration of wine flavors. And, basically, a wine's flavor comes from the grapes, the fermentation process and its aging. So, let's jump right in and start with the star of the show, the grapes. You might think "Well, of course a wine's flavor comes from the grapes." And, yes, the grapes are extremely important in the wine making process and form the basis for how the wine will taste. But, within a grape variety, there can also be tremendous variations associated with factors such as where the grapes are grown and when they are harvested. Location is very important. Factors such as day and night time temperatures, sunlight, the amount of rainfall and soil type all play into a wine's terroir. Grapes grown in cooler climates such as in Bordeaux, will tend to have their red fruit flavors enhanced (e.g., cherry and red currant) and be a bit lighter in body while warmer climate Cabernet Sauvignon grapes grown in California's Napa Valley produce bigger fruit flavors (e.g., blackberry, black currant and black cherry). 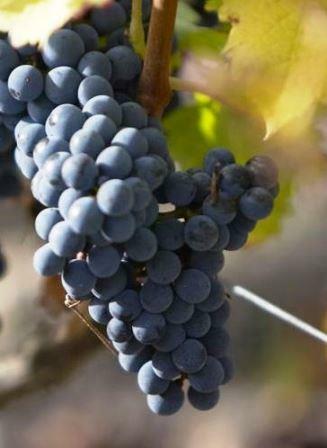 Harvest time also plays a huge role in a wine's flavor. Winemakers are constantly checking the sugar levels of the grapes in the vineyard (Brix) as they ripen. As the sugar levels increase in the grapes, the acid levels that produce tartness will decrease. So, winemakers chose the Brix-to-acid ratio that will produce the flavor of wine they are looking for. Where the grapes are grown and when they are harvested plays a huge role in the flavors of all wines. But, once these flavors are established, the fermentation process and aging will also contribute to a wine's final flavor. We'll look into these factors in the next couple of blogs. Until then, Cheers!